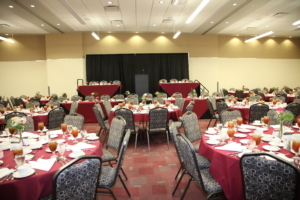 The Conference Center has been designed to be a first-class multi-function space that is able to accommodate an incredibly wide variety of events. There is potential to host four separate events at the same time, all independently of one another. 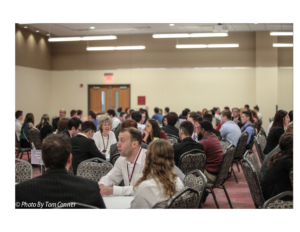 The Kovalchick Complex has the ability to host large scale conferences. 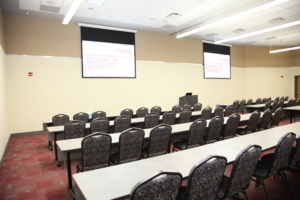 With 17,000 square feet of conference center space and 5 local hotels, we can accommodate your group. 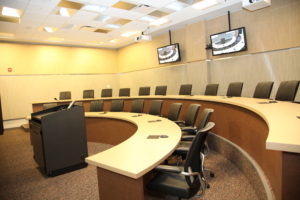 Our building features 9 separate meeting spaces and a 5,000 seat arena to allow for break out spaces. 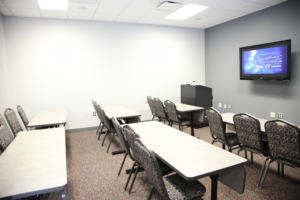 Our conference space is equipped with everything from screens and projectors to audio systems, teleconferencing systems, and even videoconferencing systems!